VR Videos 3.0 as responsible for this website, I assume the commitment to process the information of my users and clients with full guarantees and to comply with the national and European requirements that regulate the collection and use of personal data of my users. This website, therefore, strictly complies with Organic Law 15/1999, of December 13, Protection of Personal Data (LOPD), and Royal Decree 1720/2007, of December 21, known as the Regulation of development of the LOPD. It also complies with Regulation (EU) 2016/679 of the European Parliament and the Council of 27 April 2016 on the protection of natural persons (RGPD), as well as with Law 34/2002, of 11 July, on Services of the Information Society and Electronic Commerce (LSSICE or LSSI). These General Conditions regulate the use (including the mere access) of the web pages, members of the VR Videos 3.0 website, including the contents and services made available in them. Any person accessing the website, https://vrvideos30.com (“user”) accepts to submit to the General Conditions in force at each moment of the portal https://vrvideos30.com. 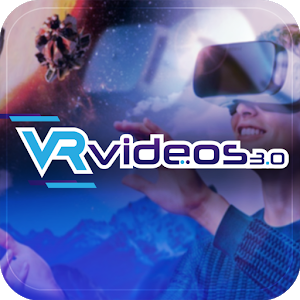 The user is informed, and accepts, that access to this website does not imply, in any way, the beginning of a commercial relationship with VR Videos 3.0. In this way, the user agrees to use the website, its services and contents without contravening current legislation, good faith and public order. In the use of the website, https://vrvideos30.com the user undertakes not to carry out any conduct that could damage the image, interests and rights of VR Videos 3.0 or third parties or that could damage, render useless or overload the portal https://vrvideos30.com or that would prevent, in any way, the normal use of the web. However, the user must be aware that the security measures of computer systems on the Internet are not entirely reliable and that therefore https://vrvideos30.com can not guarantee the absence of malware or other elements that may cause alterations in the computer systems (software and hardware) of the user or in their electronic documents and files contained therein, although I use all the necessary means and the appropriate security measures to avoid the presence of these harmful elements. The personal data communicated by the user to VR Videos 3.0 can be stored in automated databases or not, whose ownership corresponds exclusively to VR Videos 3.0, assuming all the technical, organizational and security measures that guarantee confidentiality, integrity and quality of the information contained in them in accordance with the provisions of current regulations on data protection. The communication between the users and https://vrvideos30.com uses a secure channel, and the transmitted data are encrypted thanks to https protocols, therefore, I guarantee the best security conditions so that the confidentiality of the users is guaranteed. By virtue of the provisions of articles 8 and 32.1, second paragraph, of the Law on Intellectual Property, the reproduction, distribution and public communication, including the method of making them available, of all or part of them is expressly prohibited. contents of this web page, with commercial ends, in any support and by any technical means, without the authorization of VR Videos 3.0. The user agrees to respect the rights of Intellectual and Industrial Property owned by VR Videos 3.0. The user knows and accepts that the entire website, containing without exhaustive text, software, content (including structure, selection, arrangement and presentation thereof) podcast, photographs, audiovisual material and graphics, is protected by trademarks, rights of author and other legitimate rights, in accordance with the international treaties to which Spain is a party and other property rights and laws of Spain. Indicate the contents protected by the intellectual property rights and their location on the web, the accreditation of the intellectual property rights indicated and express declaration in which the interested party is responsible for the veracity of the information provided in the notification. In case any user had any questions about these Legal Conditions or any comments on the https://vrvideos30.com portal, please contact contacto@vrvideos30.com. VR Videos 3.0 como responsable de esta web, asumo el compromiso de procesar la información de mis usuarios y clientes con plenas garantías y cumplir con los requisitos nacionales y europeos que regulan la recopilación y uso de los datos personales de mis usuarios. Las presentes Condiciones Generales regulan el uso (incluyendo el mero acceso) de las páginas de web, integrantes del sitio web de VR Videos 3.0 incluidos los contenidos y servicios puestos a disposición en ellas. Toda persona que acceda a la web, https://vrvideos30.com (“usuario”) acepta someterse a las Condiciones Generales vigentes en cada momento del portal https://vrvideos30.com. El usuario queda informado, y acepta, que el acceso a la presente web no supone, en modo alguno, el inicio de una relación comercial con VR Videos 3.0. De esta forma, el usuario se compromete a utilizar el sitio web, sus servicios y contenidos sin contravenir la legislación vigente, la buena fe y el orden público. En la utilización de la web, https://vrvideos30.com el usuario se compromete a no llevar a cabo ninguna conducta que pudiera dañar la imagen, los intereses y los derechos de VR Videos 3.0 o de terceros o que pudiera dañar, inutilizar o sobrecargar el portal https://vrvideos30.com o que impidiera, de cualquier forma, la normal utilización de la web. No obstante, el usuario debe ser consciente de que las medidas de seguridad de los sistemas informáticos en Internet no son enteramente fiables y que, por tanto https://vrvideos30.com no puede garantizar la inexistencia de malware u otros elementos que puedan producir alteraciones en los sistemas informáticos (software y hardware) del usuario o en sus documentos electrónicos y ficheros contenidos en los mismos aunque pongo todos los medios necesarios y las medidas de seguridad oportunas para evitar la presencia de estos elementos dañinos. Los datos personales comunicados por el usuario a VR Videos 3.0 pueden ser almacenados en bases de datos automatizadas o no, cuya titularidad corresponde en exclusiva a VR Videos 3.0, asumiendo ésta todas las medidas de índole técnica, organizativa y de seguridad que garantizan la confidencialidad, integridad y calidad de la información contenida en las mismas de acuerdo con lo establecido en la normativa vigente en protección de datos. La comunicación entre los usuarios y https://vrvideos30.com utiliza un canal seguro, y los datos transmitidos son cifrados gracias a protocolos a https, por tanto, garantizo las mejores condiciones de seguridad para que la confidencialidad de los usuarios esté garantizada. En virtud de lo dispuesto en los artículos 8 y 32.1, párrafo segundo, de la Ley de Propiedad Intelectual, quedan expresamente prohibidas la reproducción, la distribución y la comunicación pública, incluida su modalidad de puesta a disposición, de la totalidad o parte de los contenidos de esta página web, con fines comerciales, en cualquier soporte y por cualquier medio técnico, sin la autorización de VR Videos 3.0. El usuario se compromete a respetar los derechos de Propiedad Intelectual e Industrial titularidad de VR Videos 3.0. En caso de que cualquier usuario tuviese alguna duda acerca de estas Condiciones legales o cualquier comentario sobre el portal https://vrvideos30.com, por favor diríjase a contacto@vrvideos30.com.